Are you new to the area or searching for a dentist that accepts your insurance? Joshua R. Toney DDS at Sandhill Dentistry in Pocahontas, AR, is committed to serving individuals and families with superior dental care no matter their insurance provider. 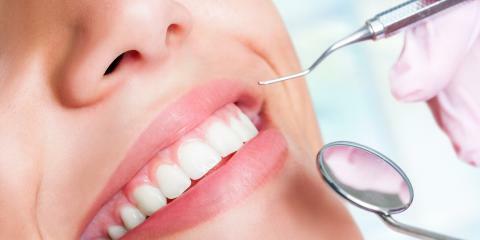 This full-service dentist offers a wide range of services and personalized treatment. Whether you need a simple cleaning or tooth extraction, Dr. Toney is prepared to carefully examine your teeth and create a custom care plan to treat your specific needs. Both adults and children can take advantage of his orthodontic services to properly align crooked teeth. No need to feel self-conscious about metal braces; he also offers Invisalign and invisible braces that are designed to correct teeth without the distraction of metallic equipment. Their entire team understands that a visit to the dentist can be nerve-wracking, so they offer information, entertainment, and nitrous oxide for increased comfort. For the skilled, caring and professional family dentist you deserve, stop by Sandhill Dentistry to see Dr. Joshua R. Toney. Call this locally owned and operated office today at (870) 892-2010 to schedule an appointment.